Successful weight management is a combination of hard work, diet, exercise and planning. 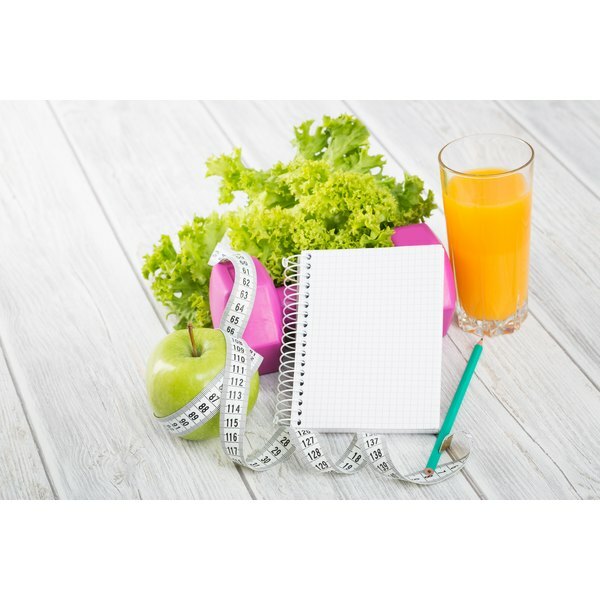 Keeping a food journal and record of your activity will keep you motivated to stay with your lifestyle changes and allow you to see what tweaks you may need to accelerate your weight loss. Creating and recording the data, though, can seem daunting. There are several websites, including fitday.com, that will allow you to record your eating and activity each day. The websites will store the information and some even offer analysis so you'll see not only the calories you eat, and burn, but also the percentage of proteins, carbohydrate and fat or the amount of water you consume. For a fee, groups such as Weight Watchers offer applications for your phone to make recording throughout the day easier. You don't need technology at all to record your daily activity and food intake. Purchase a small notebook and simply write down the foods you eat throughout the day. You'll have to spend some time looking up the calorie counts of the food items and the calorie burn of your activity, but this is a portable way to record everything before you forget what you ate. If you automate your eating, as suggested by cardiologist and talk show host Dr. Mehmet Oz, you will eventually memorize the calorie counts of meals you eat almost every day. Choose a few meals for breakfast and lunch and rotate them through your week. Find a few exercises or activities and rotate them throughout your week, too. This will make recording easier, as you'll quickly learn the calorie counts of those foods. Make sure to record your weight each week, too, as you'll be able to look over your journal and see what you ate when you were most successful or had a challenging weight loss week. A study published in the "American Journal of Preventive Medicine" showed that dieters who kept a record of their eating and attended support groups lost more weight than those who did not. Journaling kept them focused on their weight loss and allowed them to get back on track if weight loss slowed. The study showed that people who recorded food 3.7 days per week lost more weight than those who did not.